DWS-1.2-8 Single-belt Dryer is a continuous drying equipment. DWS-1.2-8 Single-belt Dryer is suitable for drying materials that have good air permeability. DWS-1.2-8 Single-belt Dryer is suitable for the materials with high water content, which cannot be dried under high temperature. DWS-1.2-8 Single-belt Dryer owns many advantages, such as fast drying speed, high evaporation intensity and good quality. This machine is a continuous drying equipment. It is suitable for drying materials that have good air permeability. The machine is suitable for the materials with high water content, which cannot be dried under high temperature. The machine owns many advantages, such as fast drying speed, high evaporation intensity and good quality. The single-belt dryer is suitable for solidification and drying of dehydrated vegetables, particle feeds, gourmet powder, shredded coconut stuffing, organic plastics, synthetic rubber, acrylic acid fiber, medicine products, medicine materials, small wooden products, plastic products and electron components. 1. To achieve a better drying effect, the amount of air, heating temperature, the staying time of materials and the speed of feeding can be adjusted. 2. The device layout is flexible. It uses mesh belt for washing system and material-cooling system. 3. Hot air can be circularly used and energy can be greatly saved. 4. Unique air-dividing device makes hot air distributed uniformly, so that the product quality can be guaranteed. 5. Heating source includes steam, conduction oil, electricity, coal hot air furnace and oil hot air furnace. 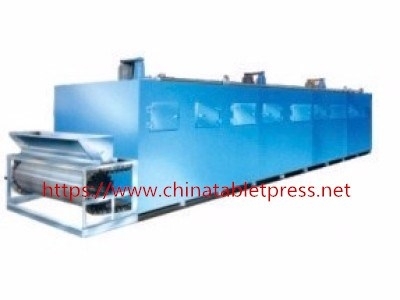 Single-belt Dryer is a continuous drying equipment. Single-belt Dryeris suitable for drying materials that have good air permeability. Single-belt Dryer is suitable for the materials with high water content, which cannot be dried under high temperature. Single-belt Dryer owns many advantages, such as fast drying speed, high evaporation intensity and good quality.